Interact Australia is committed to protecting individuals’ right to privacy. This policy describes the personal information practices of Interact Australia and gives individuals an understanding of the type of personal information that Interact Australia manages. Interact Australia is committed to protecting individuals’ right to privacy. Interact Australia complies with federal and state legislation relating to confidentiality and privacy as they apply in each jurisdiction. All personnel within Interact Australia maintain the highest standards of professional practice and codes of conduct regarding the confidentiality of personal information. Interact Australia personnel receive training and understand their obligations under the laws and ethical codes of professional practice and codes of conduct regarding the confidentiality of personal information. This policy applies to all Interact Australia personnel. Personal information: means information or an opinion about an identified individual, or an individual who is reasonably identifiable whether the information or opinion is true or not; and whether the information or opinion is recorded in a material form or not. Interact Australia Personnel: All employees (whether employed full-time, part-time, fixed term or on a casual basis), Board members, students, contractors and sub-contractors performing work on behalf of Interact Australia. Customer: Interact Australia is committed to being a customer centric organization. Our broad definition of customer means we are inclusive of all people who engage with us either externally or internally. Our customers include clients, participants, supporters, the community, stakeholders, partners, staff, and members. When we collect your personal information, our personnel will discuss the content of this policy with you and request your consent to the collection. If you do not consent to the collection of your personal information, the level or type of service that we can offer to you is limited. Our services require the collection of relevant personal information as this enables us to provide you with the most appropriate care and support. Information is collected in a respectful, lawful and non-intrusive way. Where Interact Australia receives information about you from a third party, we will advise you of the information collected and confirm with you that the information collected is correct. The purpose of collection of personal information will be by lawful and fair means and will be used and disclosed for the primary purpose for which it was collected. We only use your personal information for the purpose for which it was given to us, or for purposes that are directly related to one of our functions or activities related to you. Interact Australia personnel that are involved in your care and support will access your personal information. Information that is essential for your continuing care and supports and Interact Australia’s management, funding and quality assurance may be accessed by other appropriate personnel within Interact Australia. For example, some administrative staff may have access to personal information in the course of their duties. The extent of this access is limited to information that is relevant for them to perform their official duties. Is otherwise required or authorized by law. It is reasonably necessary for a law enforcement function. Some information is used to help plan our services, for reporting purposes to our funding bodies and for quality improvement. This information may also be used for research to ensure we are continually improving our services. As the information used is not personally identifiable, specific consent to this is not required. Some of our funding agreements with the Government require transfer of personal files and information back to the funding body. Department of Human Service – Australian Government. 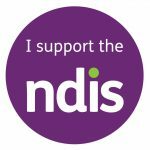 The National Disability Insurance Agency (NDIA). The National Disability Insurance Scheme Act 2013 s55(1) gives the NDIA the power to require production of information that is, among other matters, relevant to the functions of the NDIA. We take steps to ensure that the personal information we collect is accurate, up to date and complete. This includes maintaining and updating personal information when you advise us that your personal information has changed, and at other necessary times. We take reasonable steps to protect the personal information we hold against loss, unauthorized access, use, modification or disclosure and against other misuse. These steps may include password protection and encryption of digital information, and securing paper files with physical access restrictions. Access to personal information held on computer systems is controlled and monitored. Only personnel required by their duties to have access to customer records and information systems are authorized to access such information. When no longer required, personal information is destroyed in a secure manner in accordance with the law and the requirements of the funding agreements. Access to your personal information is available to you on request. Information however, relating to others or where the information would otherwise be exempt from disclosure by law will not be given. Proof of identity must be presented to us before personal information will be released. A fee may be charged for this service. Requests should be in writing and addressed to the Privacy Officer. If we do not agree to provide access to personal information, we will advise you of the steps to take to seek a review of, or to appeal our decision (as applicable). Whilst Interact Australia is not a government agency, because we provide services under contract with government, we do receive requests for personal information under Freedom of Information legislation. This would occur when an individual receiving services from Interact Australia has made a request for access to their personal information directly with the government agency responsible for administering and funding that service. Interact Australia is contractually obliged to comply with these requests. You can take steps to request a correction of your personal information held by us. Requests should be in writing and must provide evidence to support the requested changes. If we do not agree to make the requested changes to personal information, you may make a statement about the requested changes and we will attach this to our file. If you have any concerns about the way we handle your personal information, or you would like to make a complaint relating to privacy matters, please use the above contact details. Your concerns will be referred to the Interact Australia National Quality and Safeguards Manager who will conduct an investigation into the matter if this is required. Will not affect the standard of services you receive from us. We may use temporary (session) cookies or permanent cookies when you access our website. This allows us to recognize your browser and track the webpages you have visited. You can switch off cookies by adjusting the settings on your web browser. If you disable cookies on your web browser or device, you may not be able to fully experience all features of the website. We do not give personal information collected online to other agencies, organisations or anyone else without consent unless the individual would reasonably expect, or has been told, that information of that kind is usually passed to those agencies, organisations or individuals or the disclosure is otherwise required or authorised by law. We will correct any personal information that we hold about you on request. For information about how to access or correct personal information collected on our website, see ‘Access and Correction’ in section four in this document.